← Bad Eating Habits: Are Yours Hurting You? 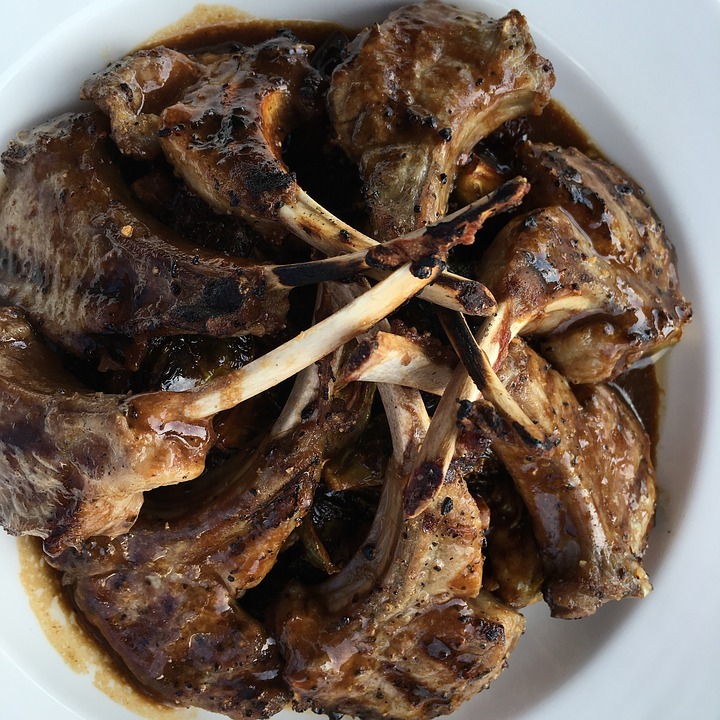 You Like Pork Chops, You’ll Love Lamb Chops! Recently, I made dinner and let me tell you it was delicious! I have been craving lamb chops for a while and I finally decided to make them. It is fast, simple and absolutely scrumptious. Put the lamb chops on a plate to place in the oven. Rub the lamb chops with the seasoning and make sure to rub them very well. Slice an onion and place it on top as well and some sumac, rosemary and the remaining juice when you were marinating the lamb chops. Place in the oven at 400 degrees for an hour and then remove the foil and let it stay for another 15 minutes. For the side, I baked some sweet potatoes and a side salad. I was so pleased with these delicious results ill be doing them again soon. I hope you enjoy this recipe and try it out. Go to Fill your plate for more lamb recipes. This entry was posted in Cooking, Fill Your Plate, Food, In the Kitchen, Recipes and tagged Dinner, Eating, food, Lamb Chops, recipes. Bookmark the permalink.